The bestselling World War II for Kids. Pick up a copy now! NEWS: Richard Panchyk's groundbreaking new English translation of a long out-of-print work of the brilliant Austrian novelist and journalist Joseph Roth (1894-1939) was released in March 2013, adding immensely to the scholarship about this important 20th century writer. This prescient work highlights the acuity of Roth's political sensibilities. STAY TUNED for more Panchyk book news! This book takes the reader on a journey through American history, highlighting 70 of the most important moments in our country's history and providing the context for each of the keys to understanding our history. A fun-filled thrill ride through Long Island's hidden history that uncovers fascinating remnants of the past. A richly illustrated history of one of the greatest cities in the world. A history of the Court with highlights of the important cases. A history with 25 activities and numerous firsthand accounts by soldiers, sailors, marines, Holocaust survivors, and homefront patriots. A book that teaches kids how infrastructure works, with fun activities. A lavishly illustrated book chronicling the life and times of Galileo. The primer on archaeology for kids of all ages. Used by schools and libraries nationwide, recommended by several organizations. A full-color book on everything folk art, from quilts to paintings to tramp art. RICHARD PANCHYK is the author, editor, or translator of 36 books on a diverse range of topics, including children's nonfiction (astronomy, history, archaeology, sports, art, politics/government) and adult nonfiction (history, architecture, preservation, and folklore). His works have been translated into seven languages. To order autographed copies of any of his books, to schedule book talks, or for more information, you may contact the author at panchyk@yahoo.com. Check back soon for exciting news regarding upcoming releases, and for a chance to win a signed copy of Richard Panchyk's latest books! Among Panchyk's other books are the award-winning and bestselling World War II for Kids, which is available at bookstores and museum gift shops across the nation, and can be found in more than 650 library systems around the US. This book is considered one of the top books ever published for teaching kids ages 9 and up about the war, and is used in schools and by homeschoolers from New York to Alaska. It features a foreword from John McCain and a letter from Bill Clinton. Panchyk is also the author of the lavishly illustrated Galileo for Kids, which tells the story of the brilliant scientist Galileo Galilei, and features a foreword by the history-making astronaut Buzz Aldrin. 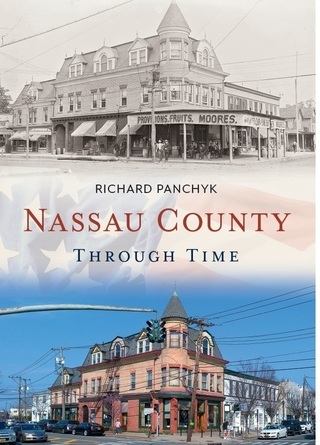 Panchyk's other popular books include German New York City, published as part of the famous Images of America series by Arcadia, the first-ever major book to cover the exciting story of the German population in one of the world's biggest cities (with nearly 200 historic photographs); Forgotten Tales of Long Island, a local bestseller about the quirky true stories from LI's past, including giant radishes and naked ghosts; and New York City History for Kids, an enthralling true story of the history of the Big Apple.